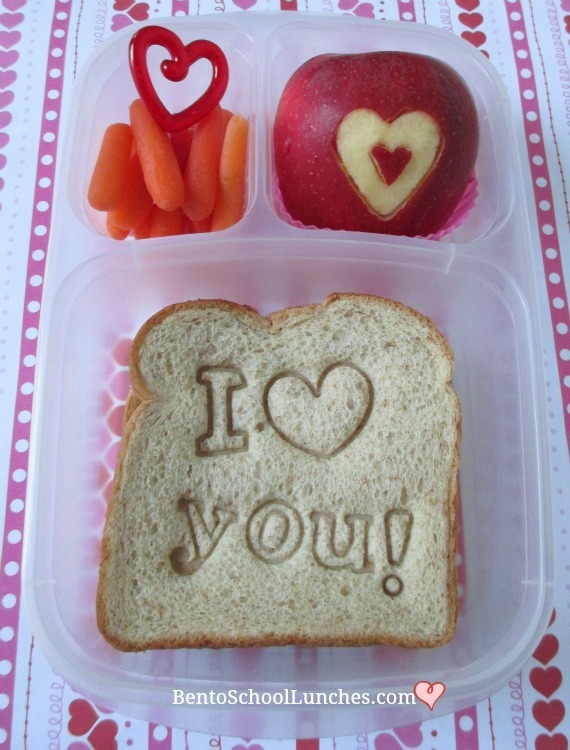 Here are a few "I Love You" themed lunches which are very simple and made with some food that he requested since he wasn't feeling well. I've made around 40 Valentine's Day lunches and you can find them here. Bento lunch 1: I used the 'I love you' sandwich stamper which I purchased from our local dollar tree store to stamp the sandwich and I've yet to see a similar cutter anywhere else. His sides were organic baby carrots with a heart shaped cupcake pick and an apple half which was cut using a couple of heart shaped cutters. This lunch was packed in our Easylunchboxes container. Bento lunch 2: This lunch is quite memorable to me. It was made the day that Nikolai started to feel ill but insisted of going to school. He specifically requested chicken nuggets and bread. I sent this lunch warm in his Warmables lunch kit (we love this kit especially when the weather is cooler and warm food is really nice) and it stayed warm till his lunch time. He had whole grain all natural chicken nuggets, pumpernickel bread with a few picks to remind him that I love him. I am sure any person not feeling their best will especially enjoy knowing they're loved. He also had some fruits and snacks which are not in picture, sent with an ice pack. This lunch was packed in our Lunchbots duo with our Warmables kit. 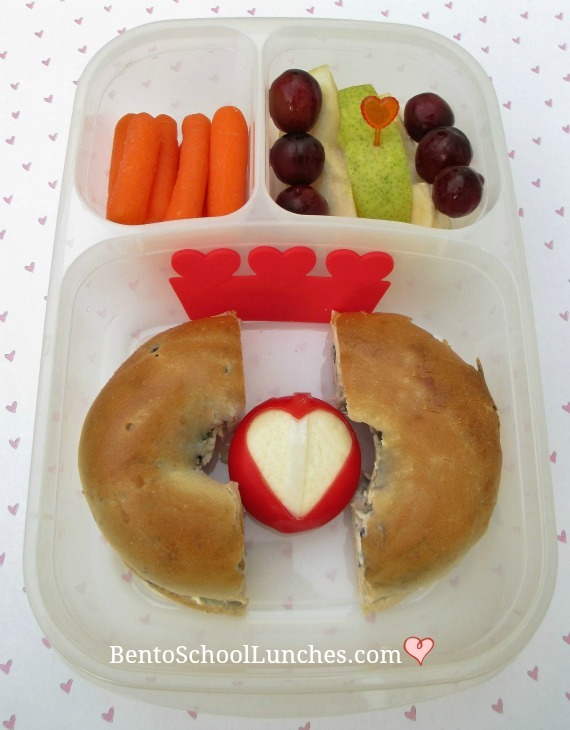 Bento lunch 3: This was a simple bagel lunch which at the last minute I decided to cut into half and include a babybel cheese with a heart cut-out, a three heart silicone baran, organic baby carrots, pear slices with a heart pick and seedless grapes. This lunch was packed in our Easylunchboxes container. They are all so cute! I especially like the apple heart!